PamG has been a Duranie since the early days of MTV. 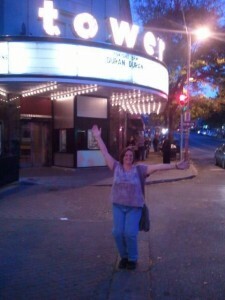 In addition to all-things Duran, she also enjoys music documentaries, pop culture trivia, and live concerts of any kind. Her Duran dream would be to journey across the pond and see the band play throughout Europe. 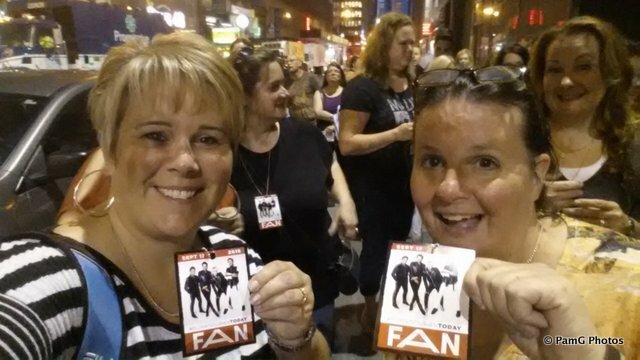 After waiting over 25 years to see Duran Duran live, she saw her first show in 2011 and it changed her life. March 25, 2016. 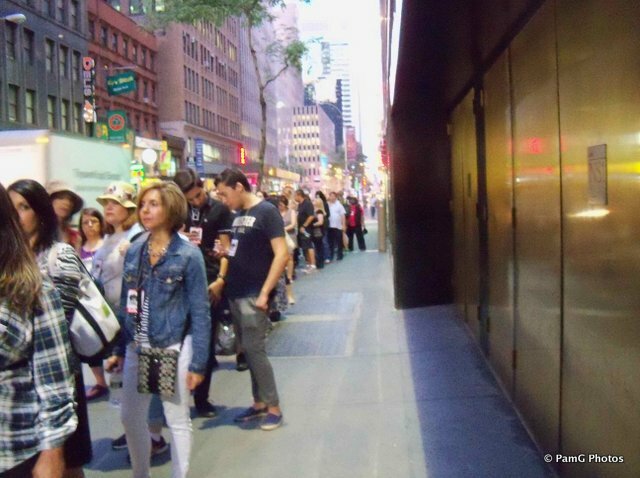 For most readers of this blog, that day kicked off Duran Duran’s 2016 North American tour supporting Paper Gods. For me, it was an unforgettable day for a different reason. I am fortunate enough to have great tickets to three of the July shows for the Paper Gods (see you in Toronto, Boston, and Camden). So when Duran announced the Niagara Falls shows — just 1 week after I spent all that money on the July shows, mind you — I had a tough choice to make. Niagara Falls is only 1.5 hours from home, the shortest travel time to any Duran shows for me to date. Not to mention, the shows were on a weekend and kicking off the 2016 tour. That never happens for me! But as much as I wished I could go to the Niagara Falls shows on March 25-26, I knew the right thing to do (financially) was to pass on them. I already spent too much money on the July shows. My best Duranie friend was going to one of the shows, and I’ll admit it was tough to stay excited for her. But of course I wished her good ticket karma on the presale and hoped to hear some great stories. Then, on Wednesday evening, March 23, I came across a post on Instagram from Prince announcing two shows in Toronto on Friday, March 25. Concert tickets went on sale the next morning. Holy sh!t. I knew that he usually announced shows only a day or two before the performances, and that was part of the reason why I followed him on Instagram and Twitter. But I never expected one this close to home. And by “this close” I mean 3 hours away. When I saw the ticket prices, I nearly fainted. These tickets were more expensive than almost any ticket I’ve bought for a Duran show. But hey, odds were low that I’d even get a ticket, so if I got one I’ll figure out the rest. And if it didn’t work out, I could still try to get a last-minute to Duran’s show that same night or the next night in Niagara Falls. I’ve had good ticket karma for the last 6 months so I hoped it would hold out for just one more show. When I got to work Thursday morning, I promptly blocked off my calendar for 10:00 so that nothing would interrupt this chance (c’mon, you’ve done it too). In my 9:30-10:00 meeting, I exhausted my telepathic power to make the meeting end early. When it finally broke up around 10:04, I busted out of the room and went right to my desk to log in and try for a ticket. And then I got it: 4th row, just off to the left. (By now Ticketmaster must know I prefer John’s side.) I think I blacked out a little after I clicked “Purchase”. My logical brain was saying “You chose NOT to see the opening night of Duran Duran’s tour but you spent nearly three times that amount on concert tickets for Prince? What happened to saving money and spending wisely?” But my heart was saying, “Life is Too Short, Buy the Ticket!” As much as I love the boys, I knew I needed to take this opportunity and see Prince. 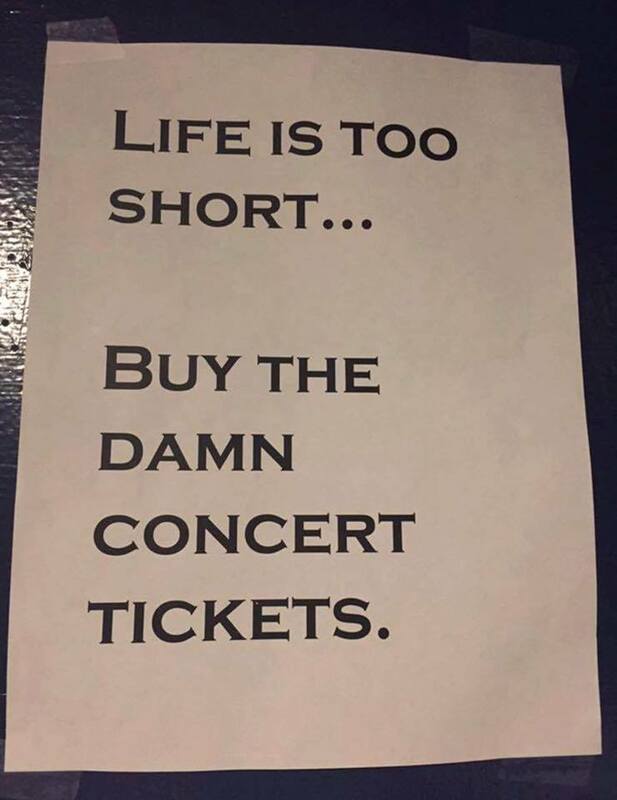 I’ve seen this photo making the rounds on Facebook and Twitter, and it was my mantra when deciding to go to three Duran shows this summer. Trust me, I’m not well off financially. And I wish we all had enough money and the luxury of seeing every concert we want to see. But sometimes you need to realize what you want out of life and do what you need to in order to make it happen. So as I drove along interstate 190 on my way to Toronto on March 25, I could see Fallsview Casino and Niagara Falls off to my left and I wished the boys a good show. It was a little heartbreaking to know they were this close and I wasn’t going to see them, but knew in my heart I had made the right choice. I reminded myself that on this day, I needed to keep heading north and see one the last artists on my concert bucket list. Little did I know that it would be the 2nd to last show he’d perform. Today I mourn with the world at the loss of this gifted virtuoso. And I call myself fortunate to have been able to see him just a month before he passed away. You may think that my recollection is glowing only in hindsight; trust me, as soon as Prince walked out on stage, I knew I had no regrets in my decision to buy the concert tickets. It was an amazing, impressive, and entertaining performance that I’ll never forget. Having been a fan for almost 30 years it was a surreal experience. I still have trouble putting those feelings into words. My seat was on John’s side of the stage and I was just mesmerized from start to finish. I remember being in a trance almost the entire time and just staring at John. I mean, staring. I felt like I was a young teenager again, plopped in front of MTV and was engrossed in their videos. The show was better than I could have imagined. I remember telling myself that I should look at Simon and the other people on stage and take in the experience, but I couldn’t take my eyes off of John. And at the same time, I was also trying to capture as many moments as I could with my camera. Of course in hindsight, I wish I had put my camera down and absorbed as much as I could that night. Little did I know that it would not be my only time seeing the band that year. In an uncharacteristically impulsive move, I saw them again eleven days later in Boston. I went to that Philly concert by myself, so I got there a bit early and killed some time in the pub across from the venue. I met some other fans and we had all decided to skip most of the opening act (Neon Trees) and head to the theater between acts. As we were leaving the pub and walking across the street to the theater, a white van drove past us and went down the alley to the backstage entrance. Very quickly, whispers turned to excited-yet-still-low-key squeals saying that it was the band. My initial thought was No Way! They must already be there at the venue. Well it turned out I was wrong. We tried to be cool and saunter over to the alley to catch a glimpse, and our suspicions were confirmed. They waved hello in response to some brave fans who called out their names. I was in Duranie fandom heaven, and I hadn’t even entered the theater yet. 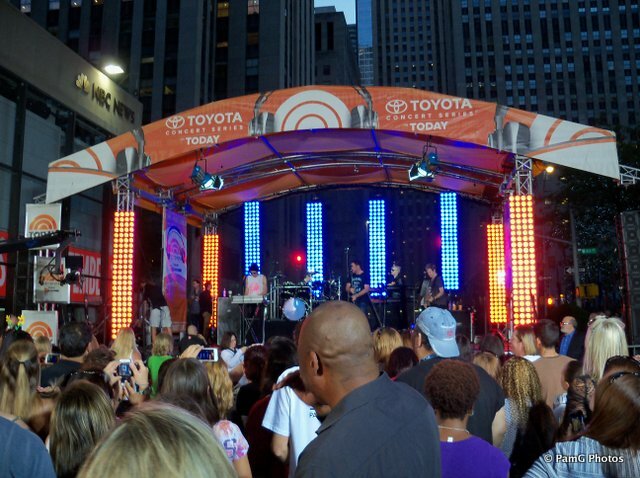 I planned my summer vacation around this show (August 25, 2012). My friend Stephanie and I wanted to attend a show on that summer tour together, but she ended up going to see them at Foxwoods the night before and I chose AC because I could visit some nearby family. That choice was a critical one for me because she got to see the band and I did not. As we now know, they ended up cancelling this show in Atlantic City as well as the remainder of that U.S. tour. I found out the news like many would-be attendees did: at a bar in the casino, within an hour of the start time. It was another surreal Duranie fandom experience, but in a sad way. One amazing opportunity did rise from these ashes though. After commiserating with other Duranies and trying to make the most of the situation, we heard rumblings that some of the band was in one of the other bars at the casino. 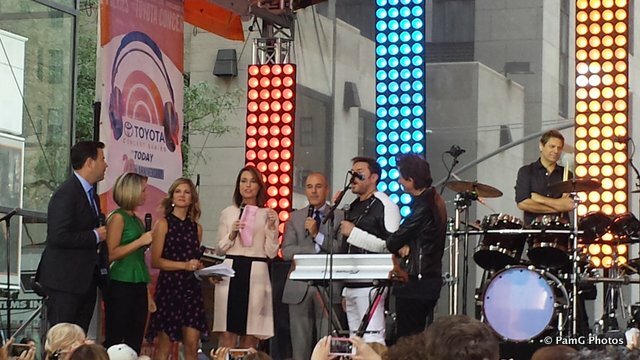 Sure enough, I ended up meeting Dom Brown, Anna Ross, and Simon Willescroft (saxophone). I had a lovely chat with Dom about his solo work. So for not being able to see the band live, the night gave me my only chance (so far) to meet members of the band. 2012 was turning into a tough Duran-year for me. I also missed John’s book signing in Toronto. Regrettably this one was my choice though. It was the day that Superstorm Sandy was due to hit land, and although I was nowhere near the direct path of the storm, it did cause some pretty severe weather in western NY. After a lot of debate and even a little heartache, I decided not to make the drive to Toronto out of safety concerns. I think I avoided Facebook and other social media for a week because I didn’t want to see what I had missed out on. But somehow the Duran karma was looking out for me again. Not too long after missing the chance to meet JT, I won a signed copy of his book from DDHQ. Of course it wasn’t the same experience I had hoped for, but I do treasure it nonetheless. Oh I know the controversy this show caused. I read the fan forums and the criticisms both before and after the show. You can look them up yourselves. I am grateful for the experience no matter what. Perhaps another time I’ll write about my entire experience, but in a nutshell, it was a one-of-a-kind Duranie fandom experience that I don’t regret one bit. I truly ventured out of my comfort zone for this one. I went to New York City for the first time. I was a guest of a Duranie who was looking for a +1 for her ticket. I had faith in a fellow Duranie, but it was still a risk to put my faith in this stranger in NYC. It all worked out just fine, and we met up outside of Terminal 5 in time for the show. 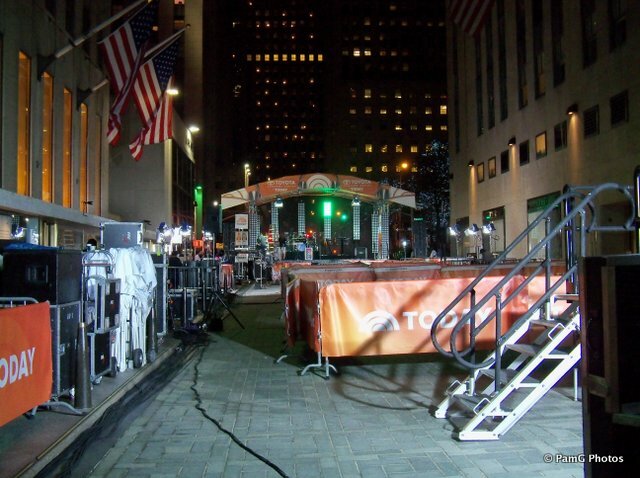 We ended up being among the first group of fans they let in, so we got pretty close to the stage. And as Steve Aoki says in the video that captured the essence of the evening, I had no idea what was about to unfold. Yes, I got cake on me, was sprayed with champagne, and many sweaty, annoying 20-somethings bumped into me with little regard for my safety. But I also got to meet some awesome Duranies, witness a new arrangement of HLTW, sing Happy Birthday to John, and even watch the band watch Aoki from backstage. And even though it was a short set, it was a unique Duranie fandom event that I’m glad I took a risk on. Do you have a list of your Duranie fandom moments? Share some in the comments below! It’s been a year since Durandemonium. Obviously Rhonda & Amanda have shared their journeys and feelings about it with us, and I wanted to share what that weekend meant to me as one of the attendees. As they have have both said, their primary goal was to bring people together. And boy they sure did. Fortunately I had some encouragement from two friends. 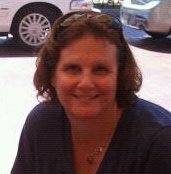 My first connection was Lori. We had chatted online through the DDM forums and met up at the ill-fated Atlantic City show in August 2012. Yes, that pun was intended because the show was cancelled just before showtime because of Nick’s illness. Even though she’s West Coast and I’m East Coast, we’ve remained friends since that night (sound familiar R & A??). A few months later she told me she was on the convention planning committee, so I felt relieved that at least I’d know someone else there. If I decided to go, that is. What sealed the deal for me was my friend Stephanie. We’ve been friends for a few years now, but we didn’t know we shared the Duran fandom until after we were already friends for a while. Until then I didn’t have anyone whom I could talk Duran stuff with, at least not in the present tense. Of course I had friends who liked them back in the ‘80s too, but when I mentioned Duran’s great new album, they either rolled their eyes or redirected the conversation back to our poster-boy crushes. Stephanie and I were curious about the convention, and we both read Daily Duranie pretty regularly. After some deliberation and clearing some vacation time, we finally made the commitment to go. After a little pre-gaming at a nearby bar that afternoon, we arrived at registration. I guess I hadn’t pre-gamed enough because I was still nervous about meeting these people we’d committed to spending the weekend with. But in retrospect, this convention’s reception was like most others I’ve been to: some people walk in the door with someone they already know, some people squeal with delight when they see someone for the first time in years, and others simply take a seat and quietly begin to get comfortable with the people around them. Some of the games felt a little awkward at first, but after a while I relaxed because we were all in it together and that felt pretty awesome. I could finally let my Duran-freak flag fly. It was fun to find out how far people had traveled to be there. And I felt relieved to know that I wasn’t the only one who had seen fewer than 5 shows. They still let me hang out with them! Next up Stephanie and I decided to meet up with bunch of others at Howl at the Moon, a dueling piano bar. I’m still torn as to what the best part was: either the gang getting up on stage to sing along to Rio and HLTW, or the double-D ink stamp we received at the door! I actually have a double-D tattoo on my wrist, so getting the stamp at the door blew my mind. I tried to explain to the stamp-giver how cool it was that he was stamping a “DD” on my wrist and I already had a “DD” on my wrist! He didn’t get it. How did the stamp guy not see how cool this is? I really enjoyed Saturday morning’s author panel with Rhonda, Amanda, Elisa Lorello, and Karen Booth. Seeing four women who had combined writing with their passions for the band, the music, and the fandom was truly inspiring to me. I thought combining your job with something that you love was something only a few people in the world are able to do, but now I know that it is possible. Thank you all for sharing those insights and experiences with me. My highlight of the weekend was definitely the private viewing of A Diamond In The Mind. To the convention committee and everyone else who was involved in presenting that: I can’t thank you enough. I’d never been to a private screening of anything before, so that was pretty cool. But watching the live concert film on the big screen was like being at a show again: we danced and sang along and had a ball! I think the only thing that could have possibly been better would have been a private concert by the band. That’s how awesome the experience was for me. In hindsight, this experience was probably the moment when I knew that I belonged. Knowing that everyone in that audience is there for the same reason I was, and had the same excitement that I did was affirming. I didn’t feel weird, or immature, or like someone who was stuck in the past. I felt like I had found my people. The rest of the evening confirmed those feelings. At the banquet people dressed up in a variety of ways to represent their favorite song. I generally don’t enjoy wearing costumes or dressing for themes, but I put on my leopard blouse and went with it. By this point in the weekend I shouldn’t have been surprised that another person (or three) had the same idea as me. I was among a like-minded group of friends. Later I boarded the party bus bound for la-la-la Late Bar. The folks there gave us such a warm welcome and even had a specialty Sing Blue Silver cocktail ready for us! I’m not sure if the bar always plays new wave music on Saturdays but I loved it. They had their blocks of Duran videos and music ready for us, and showed us much love while we were there. Like any offbeat club, there were some offbeat characters there too. I can only surmise that they were part of the local Chicago culture and I’ll leave it at that. (Those who were there know what I am talking about.) In all I think it was a fun way to top off the night. Before Durandemonium, I was still a bit shy about my fandom for the band. When people asked why I was going to Chicago for the weekend, I avoided the truth and simply said I was going to catch up with some old friends. Turns out that was exactly what happened, only I hadn’t met those old friends yet. Last week I saw the spectacular documentary David Bowie Is, a companion documentary and virtual tour guide about the museum exhibit of the same name. I admit that I was only moderately interested in seeing this film. I liked Serious-Moonlight-era Bowie. I know he was a major influence on a lot of musicians I like, including Duran. And since my local indie theater was one of the many across the nation to show the one-night-only screening (sound familiar? ), I decided to take a chance. My first Duran comparison came when I entered the theater and was pleasantly disappointed: the theater was almost full. Why was that disappointing? Because the recent one-night-only Unstaged showing (at a different theater in the same city) had probably only 1/10th of the audience that this film had. I couldn’t help but wish that Unstaged had a crowd like this, had received as much local advertising as Bowie’s film, and had been introduced by the theater’s program director who invigorated the crowd before the curtain went up. Why was that a pleasant disappointment? Because it served as a reminder to me that we Duranies are part of a larger community. We’re not just Duran fans; we’re fans. Judging by the estimated ages of the crowd, I think most folks who came to see the film were around for the Ziggy Stardust era. This wasn’t much unlike when I looked around during the Unstaged screening. Or any of the Duran concerts I’ve been to. Or Durandemonium last year. For a lot of us, we’re fans of these artists because we grew up with them. What dawned on me was that this film was not only a tribute to the legendary rock star and his influence in music, fashion, and art, but also a tribute to the fans. 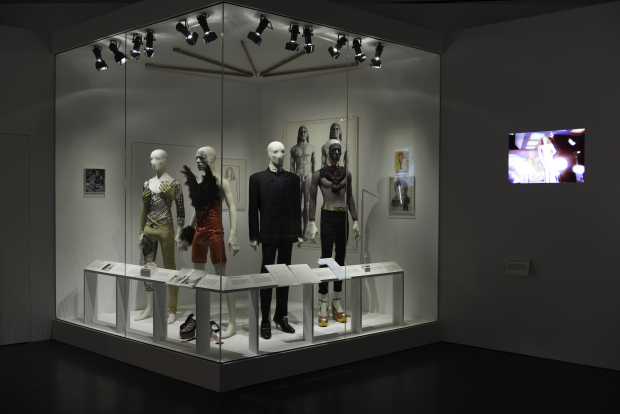 The exhibit is a befitting homage to Bowie’s life and career to date. However, the film adds a new angle: the reaction from those experiencing the exhibit. The film shows visitors inspecting the handwritten lyrics, watching the performance footage, inching closer to see the detail in the decadent costumes. The film editors could have easily filmed the exhibit when it was closed and simply relayed to us what was in the exhibit. But this way, we also got the fan perspective of the exhibit. Something Bowie’s exhibit would have in common with Duran’s hypothetical exhibit would be the collaborations. The film focused a bit on Bowie’s artistic collaborations with the likes of Iggy Pop, Brian Eno, and Japanese fashion designer Kansai Yamamoto. Duran’s would have to include David Lynch, Mark Ronson, Nile Rodgers, Dolce & Gabbana, and more. Like Bowie, Duran has extended their artistic collaborations to more than just music. The final piece of the exhibit was a Periodic Table of Bowie, created by Paul Robertson. Designed in the format of the periodic table of elements, this clever infographic depicts the influences on Bowie, as well as those who have been influenced by Bowie. Among those influenced by Bowie are Lady Gaga, Morrissey, and Alexander McQueen. I was shocked that Duran didn’t make the chart. Shocked. But hey, we know that if Duran had their own periodic table, we’d have to put Bowie as one of their influencers. So who or what is David Bowie? 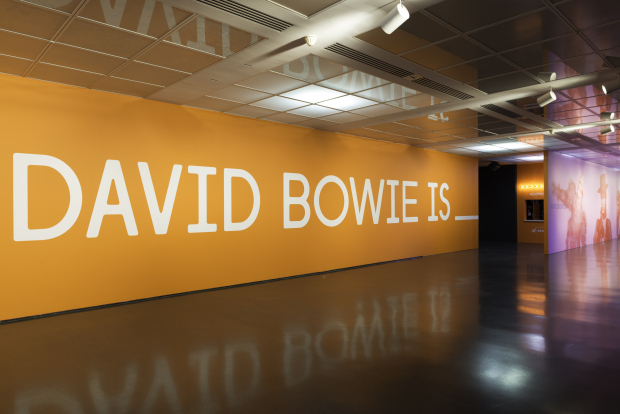 The film and exhibit certainly provide you with many suggested ways to finish the “David Bowie Is” statement. Do I think David Bowie is Duran Duran? Nope. I think what matters is what Duran Duran is to you. 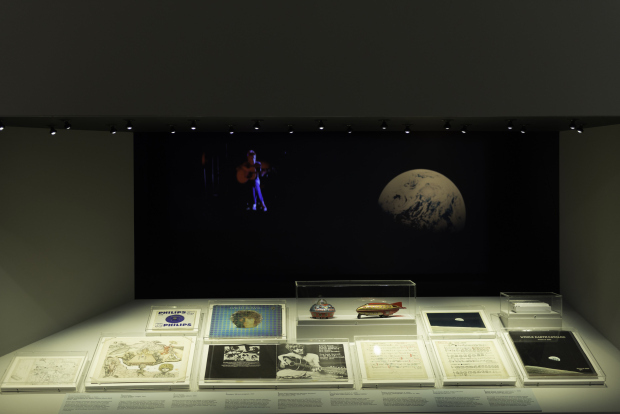 The David Bowie Is exhibit is at the Museum of Contemporary Art in Chicago now through January 4, 2015. Click here for more information. Read more about the documentary here. Have any of you seen the exhibit in person? Anyone else see the film? We’d love to hear your experience! There’s one of those challenges/memes/chain letters/trends going around Facebook lately that asks you to post several positive things every day for a certain number of days, and then tag a few of your Facebook friends to do the same. I’ve seen quite a few variations of it, but the gist is the same. I’m in the middle of this challenge on Facebook now. It got me to thinking: If I had to do this challenge and keep it Duran related, could I do it? Could I limit myself to just three things every day? Could I do it for seven days in a row? Heck, I know ladies behind the Daily Duranie website can do it because they’ve been essentially doing that every day! The website itself is a daily source for reminders of all the positive things that the band brings to our lives. I think I’m up for the challenge. So here is my list of just three ways Duran Duran has brought positivity into my life. They still love to perform live. Whether you see them performing in a video, on TV, or live in person, you can tell that they aren’t just going through the motions. For a band to continue to tour like they do, they really have to love it. * I’ve heard many artists say they really feed off the energy from the crowd, and to me there’s no doubt that Duran is no exception. Maybe it’s because they have such a loyal fan base. Maybe it’s because they’ve been together so long. I’m not sure it matters. I think the audience brings so much enthusiasm to the shows that the band can’t help but feed off of us. And they reflect it right back to us. I’ve been to a lot of non-Duran concerts in my life, and by far the most engaging have been Duran shows. Whether it’s Simon demanding that the audience sing louder or John’s invitation to clap along during “Planet Earth,” they certainly pull the audience into the performance. They are seasoned professional musicians who know how to work a crowd, and I love every minute of it. I bet there are some occasions where the live show has been less than stellar for a variety of reasons. Hey, they’re human. No, really, they are. I know we’ve all had “off” days at our jobs, right? They still make amazing videos. I don’t need to tell you about their historic video collection. When they released the video for Girl Panic in 2011, I was mesmerized. To me, all the parts fit together in this one: the role reversals, the black & white vs. color visual explosion, the interviews, the Swarovsky crystals, the wink-wink moments (“I am not a member of Duran Duran”), all of it. I’m not sure who gets the credit for the concepts, but my praise goes to Jonas Akerlund for directing such a classic and beautiful Duran video. I wonder what hypnotic video we will get for something from the new album? They don’t seem to hate photo shoots. We know that their good looks helped them rise to MTV fame in the 1980s. And along with that “pretty boy” image came many, many photo shoots throughout their career. We saw a glimpse of one of those photo shoots during “Sing Blue Silver.” And even recently they’ve shared some photos from an InStyle magazine photo shoot, in advance of the big Fashion Rocks show on September 9. From all of us who grew up with bedroom walls filled with Duran Duran posters and carefully torn-out magazine pages, as well as the those of us who have photos of band on our screen savers or phone wallpapers, thank you. If you’re like me, I’m sure you could come up with three (thousand) more sources of positivity for you. How does Duran Duran bring positivity to your life? Tell us in the comments! 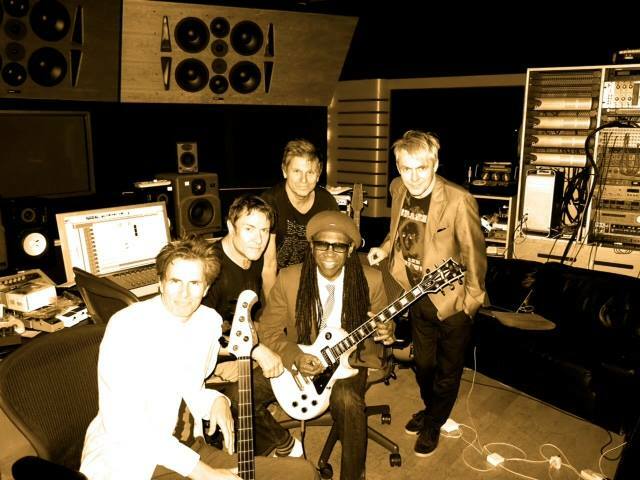 As most of us in Duranland know, the band has recently worked with the legendary Nile Rodgers for the new album. This news really made me happy. I mean, really, really happy. 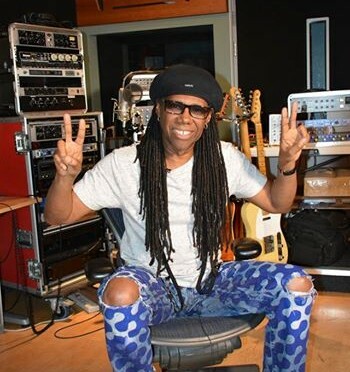 Not only does it signal forward progress on the new album, but I’m also hoping it means he’s bringing back some funk on the long-awaited album. And since reading his memoir Le Freak: An Upside Down Story of Family, Disco, and Destiny, I am even more interested in what happens next. As a child of the ‘80s, I had mostly known Nile as that guy who did the awesome remix for The Reflex and performed with Madonna during Live Aid. Oh, and he had something to do with David Bowie’s Let’s Dance album too, since his name kept coming up during whenever Bowie was nominated for Grammy or VMA awards for it. Over the years, I came to realize that he played a very large role in the music that shaped my adolescence. When I learned that he had penned his memoir, I knew I had to read it. I didn’t know much about the man, but I assumed he’d have a lot of tales of the 1980s music scene, and of course I was hoping for some new salacious tales about Duran. So if nothing else it might be a good source of gossip and backroom Studio 54 stories. Little did I know how moved I would be by his life story. For this white girl who grew up in the suburbs, his background was nearly 180 degrees away from my middle-class experience. That wasn’t too surprising. And frankly those are the kinds of memoirs I enjoy reading. Sure, I expected there to be tales of drug use and abuse; that was a pretty safe bet with anyone who was in that music scene. And there was a rags-to-riches story too. But what hit me was how much Nile had survived before the tender age of ten: he was born to a teenage mother, witnessed rampant drug use in and around his home which was constantly on the move, and was sent to live in a convalescent home for his severe asthma. And this was only Chapter 2. This man was a survivor. Don’t get me wrong: his brutally honest narrative is not a drab, sad tale. Even as he tells the tales of the ups and downs of his life so far, he does it with some humor too. And from the many interviews I’ve watched in recent years, it just seems that it’s part of his survival tactic. Mr. Rodgers’ memoir was published in 2011, not long after he was diagnosed with cancer. 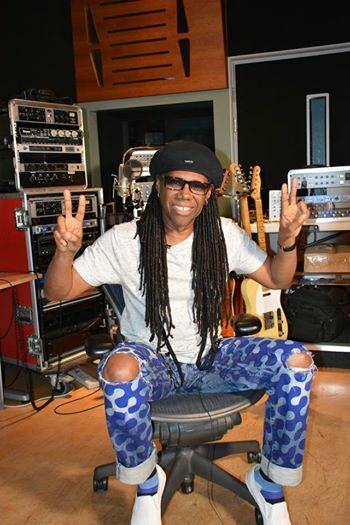 He addresses the diagnosis in his epilogue, but continues to publicly share his story on his blog “Walking on Planet C” (http://www.nilerodgers.com/blogs) and his Twitter account (https://twitter.com/nilerodgers). He recently shared that he is now cancer-free, and I wish him good health for many years to come. Are there spicy tales about Duran in Le Freak? Yup. He speaks to some of his collaborations with them, both in and out of the studio. As expected, Nile also shares stories of other collaborations from the 1970s and 1980s, including Madonna, David Bowie, Donna Summer, Mick Jagger, and Michael Jackson, just to name a few. For a kid like me who grew up on MTV, this book is rich with tabloid-like tales that are like bedtime stories to me. But in addition to the behind-the-scenes tales, I found myself drawn into the story of his musical collaboration and inspiring friendship with Bernard Edwards. When describing the first time they played together, Nile describes a musical telepathic connection. They follow their musical passions and form the band Chic. It didn’t take long for the disco world to become their oyster. But it’s Nile’s tale of their friendship—including when they drifted apart—that impacted me most. Reading the passage about their last moments together was both chilling and tear-jerking. What will come of his collaboration with Duran on this next album? Time will only tell. But no matter what, I will be forever grateful for his remix of The Reflex. That record changed my life. Not only is it one of my favorite Duran songs, it was the first 12” record that I ever bought, and it opened my musical ears to the world of remixes. In the latter half of the 1980s I spent countless hours in record stores (remember those?). I still have vivid memories of heading straight to the “E” section of the store, backing up one row to the end of the “Ds”, and then filing through the Duran section for any 12” records that I hadn’t found before. Of all the vinyl I used to own, the Duran 12” singles are among the very small collection I have retained. It is rumored that The Reflex wasn’t even considered as a single off of Seven and The Ragged Tiger until Nile’s remix happened. On behalf of many Duranies, thank you Mr. Rodgers! I recommend Nile Rodgers’ memoir for anyone who is interested in a story of how music can change the trajectory of a person’s life. Or if you want to read one man’s story of survival. 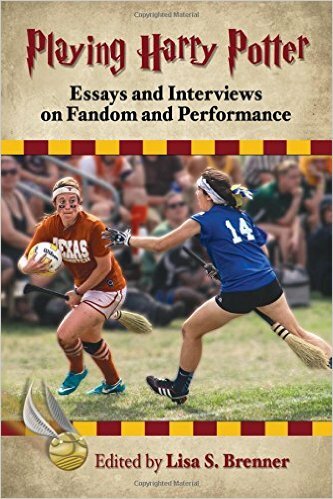 Or even if you just want the behind-the-scenes stories of some of your favorite ‘80s darlings. And of course, it’s also for anyone (like me) who is still hungry for more Duran while we wait for #DD14.